Today I am sharing this bible verse. 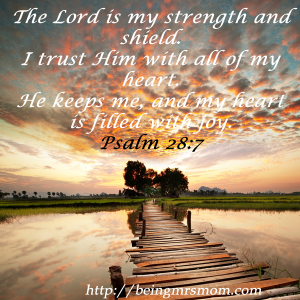 I was encouraged by the Psalmist’s words. 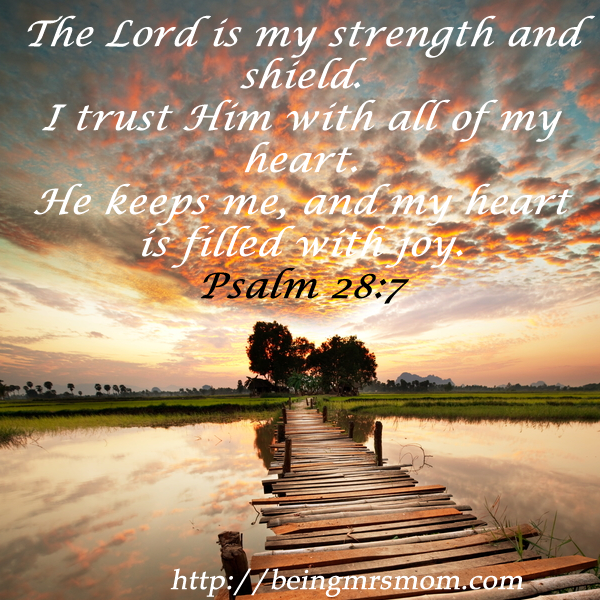 He found strength and protection in the Lord, as I do. The Lord is so faithful. Let Him be the source of your joy today.